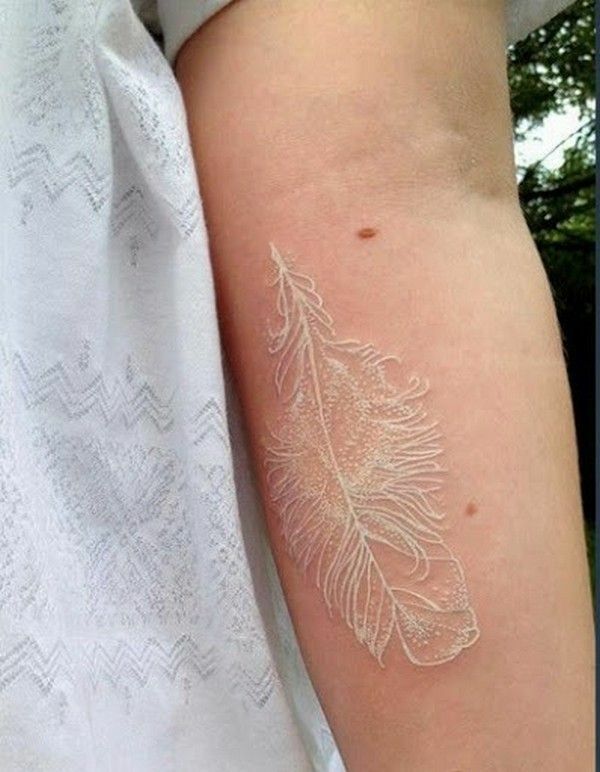 White ink tattoos look unusual and quite original. But not everyone will make this choice as they are the most contradictory tattoos. 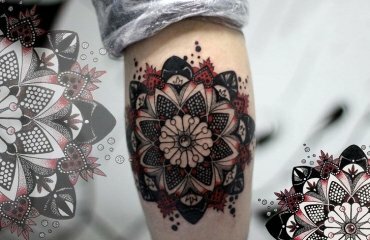 If you have decided to go for such a tattoo then be sure to choose a good artist, someone who really knows how to design and ink in such a tattoo. Only in this way you can be confident in the quality of the work. 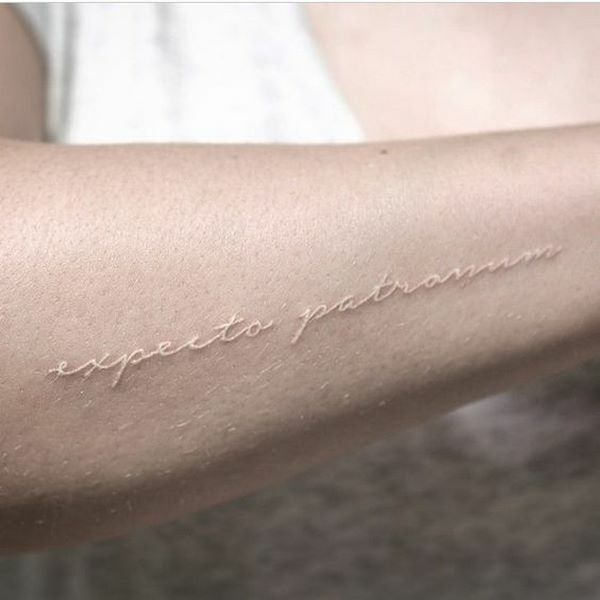 White tattoos appeared as an alternative to scar tattoos – the art of applying patterns to the skin with a scalpel. Artistic scars look spectacular but not everyone can decide on such a painful procedure. 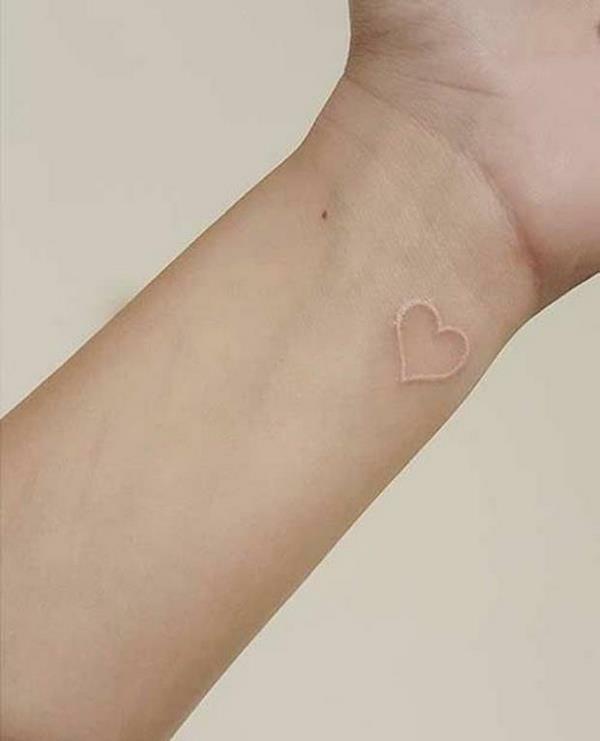 White paint, inked under the skin, looks similar to scarring from afar, but these tattoos have a predictable color, and if properly done, they are guaranteed not to turn into scars. 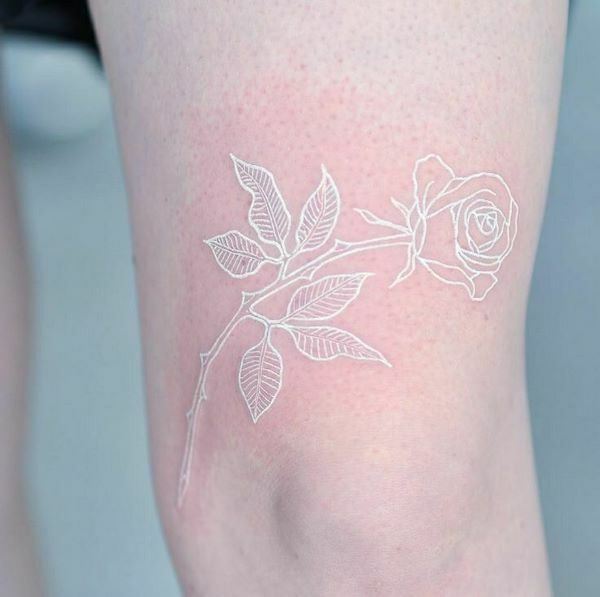 Despite the fact that tattoos are associated with something bright and noticeable, every year more and more people choose white color for a variety of reasons. 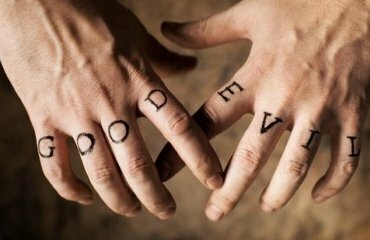 Some people would like to be able to comply with a certain business code, others simply prefer that their tattoo does not stand out too much on the body. 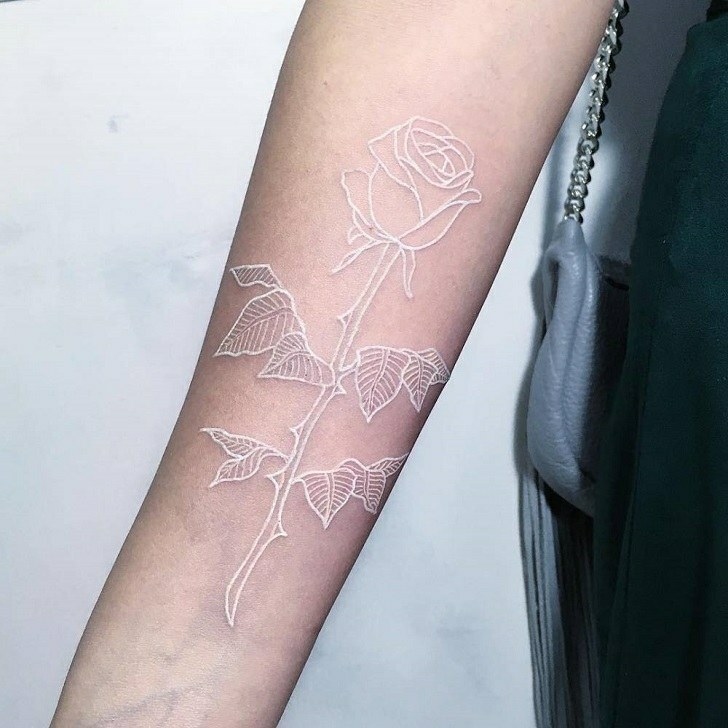 We shall look at the pros and cons of white ink tattoos and will tell you all that you need to know when considering that type of body decoration. 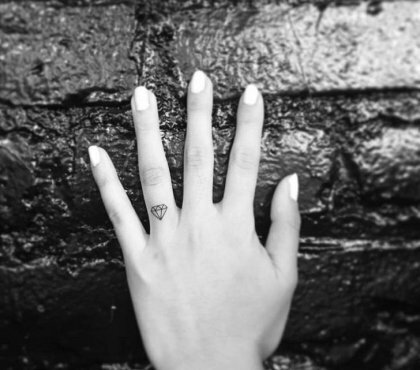 What are the pros of white ink tattoos? On the first place the main advantage of white ink tattoos is that they are less noticeable compared to the traditional black outlining. 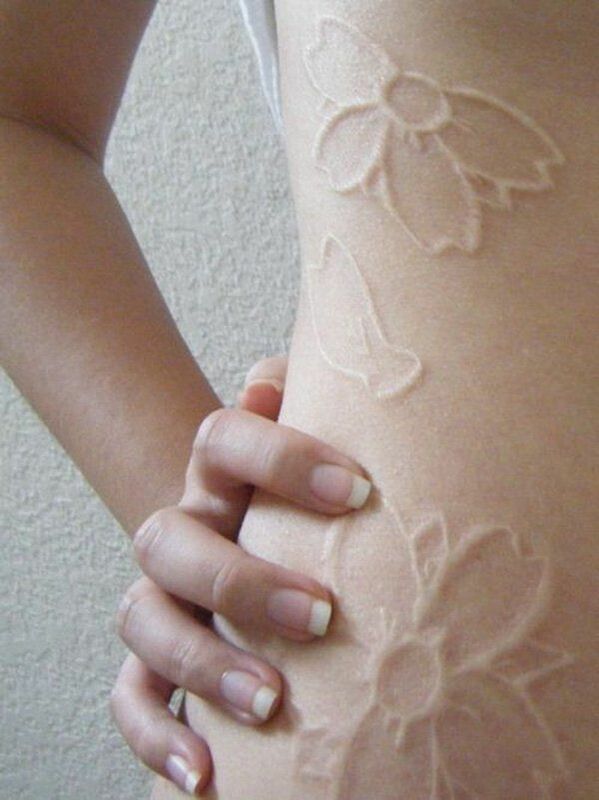 This is a tender and subtle way to have a permanent body decoration yet keep the color of your skin. Such a tattoo will be hardly noticeable, especially on light skin, and if you do not want a tattoo that pops out too much – go for it! 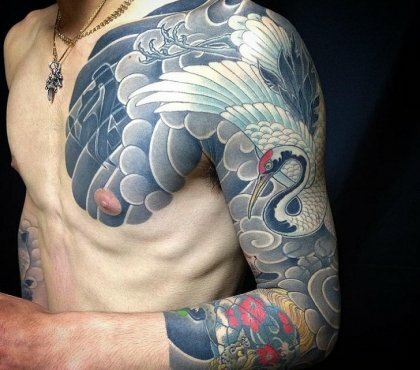 In combination with colors and black shades, white ink creates unique compositions and the darker your skin, the better the tattoo will look. 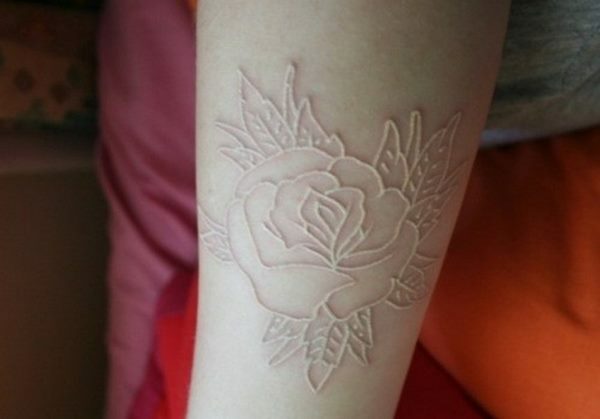 So, if you want to make a white tattoo, do it, but do not rush. Find a good tattoo artist and talk to him, make sure you know how to take care of your tattoo, and ask questions about all the disadvantages. Discuss the design of your tattoo with the artists. A good professional will be able to give you some good advice for your skin color and for the way the tattoo will look on the body part that you chose. The tattoo artist should choose a shade that is several times darker than the natural tone of your skin. For very light skin, the white should be mixed with red pigments, olive or brown shades. 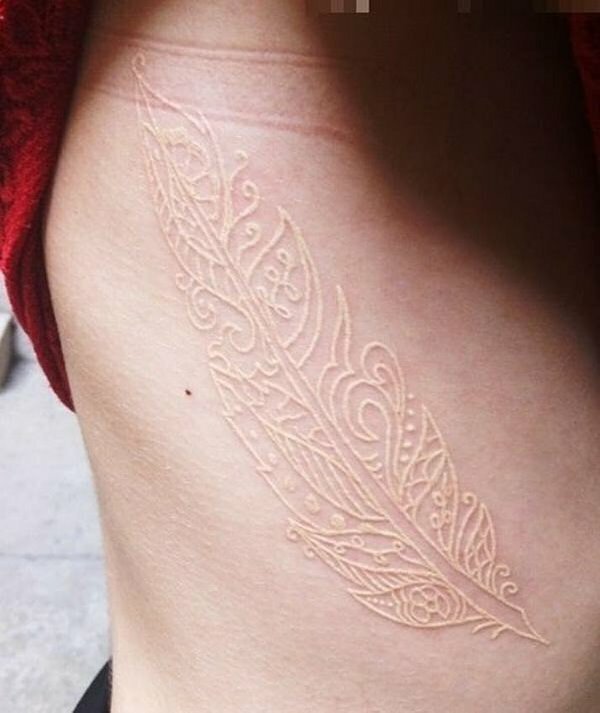 White ink tattoos on dark skin stand out beautifully as this is a natural contrast. However, no matter whether your skin is light or dark, you should remember that skin is constantly changing color. From the cold it turns pale or turns red, from the sun it gets dark and this will affect the way your tattoo appears. There are interesting styles in which artists use color pigments in very light shades, for example, you can make a tattoo in a mehndi style. 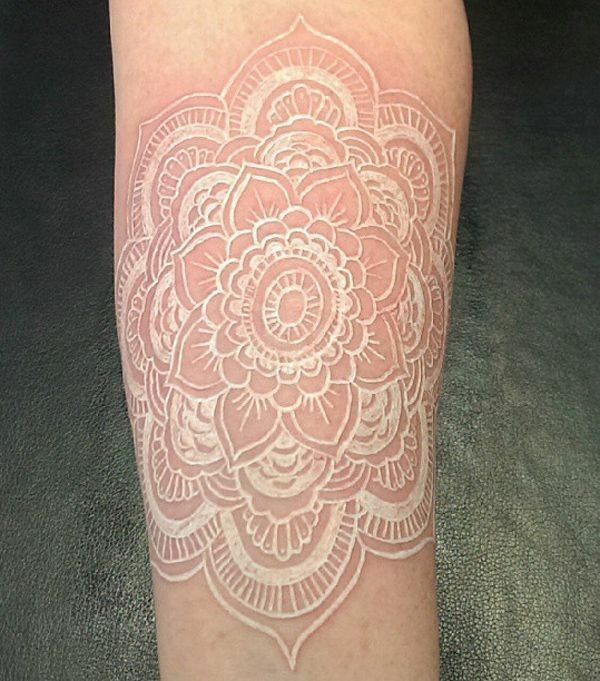 White ink is also suitable for geometric designs, such as mandala, lace and tribal, and elegant and feminine designs such as dragonflies, wings and flowers look great. 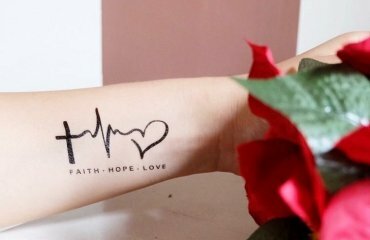 What are the disadvantages of white ink tattoos? 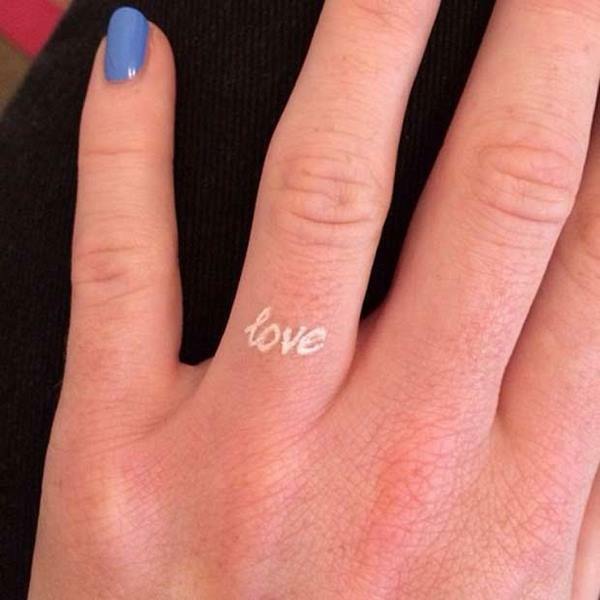 White ink is not intended for outlining. It is used for highlights and shadows. Using white ink for the contour is pretty risky, because white does not allow you to quickly view the drawing. It has to go much deeper into the skin so that the tattoo would be noticeable which means that the procedure will be more painful. These tattoos are not very durable – skin regenerates regularly and over time white tattoos can fade, become yellowish and less visible. True, nowadays ink has become much more light-resistant, but experts still believe that white color is not the best choice for a tattoo. Often, people are allergic to white ink, so you need to be ready for this. In that is the case, it is better to choose a different color. Besides the fact that you risk an allergic reaction, you may end up with a deep scar, which does not look very aesthetic. Consider the size of your tattoo. If you want it to be visible it is better to choose a beautiful pattern with a clear outline. Small drawings sometimes change color and look more like a stain on the skin or rash problems. Any tattoo requires correction. Sometimes colors fade unevenly, sometimes the contours are floating. 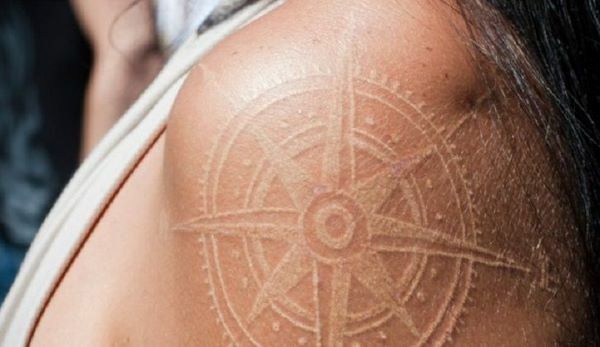 While it may take years for color tattoos to need correction, white ink tattoos may need one almost every year, depending on the quality of the ink and application, but also on the skin regeneration speed. 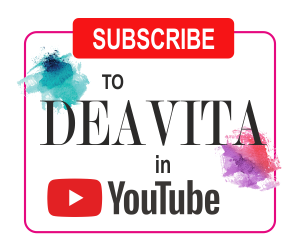 Other factors like genetics, visits to the sauna and solarium, some medicines, hormonal changes and much more also influence human skin, hence the appearance of your tattoo. 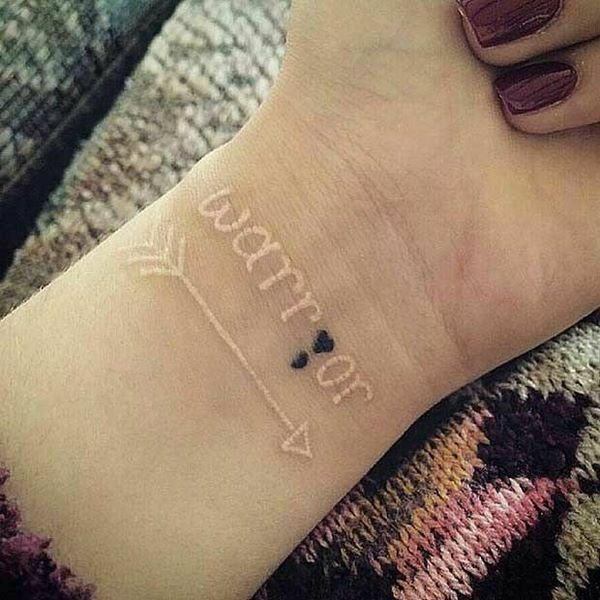 Remember that you need to take care of your white ink tattoo. As you know, after the drawing process, the skin needs careful care. 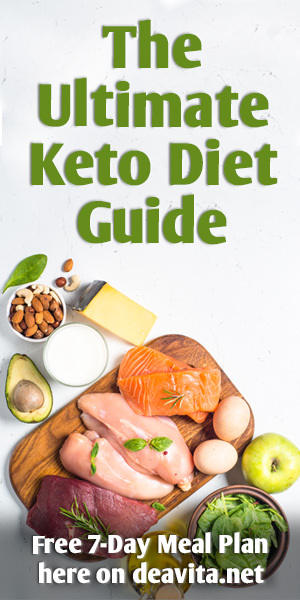 There are simple, basic rules that you need to follow immediately after the procedure. 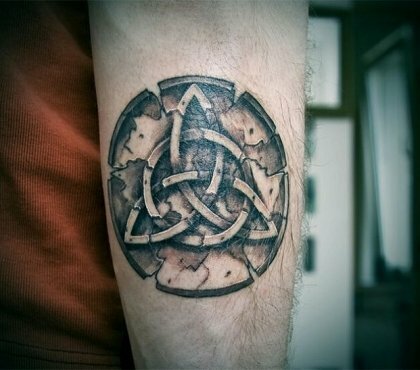 But there are other, essential rules thanks to which the tattoo will last longer and maintain its color. Immediately after the procedure, you must follow the same rules as with a conventional tattoo. The main thing is not to forget about using an antiseptic. Keep your tattoo clean both before and after it heals. 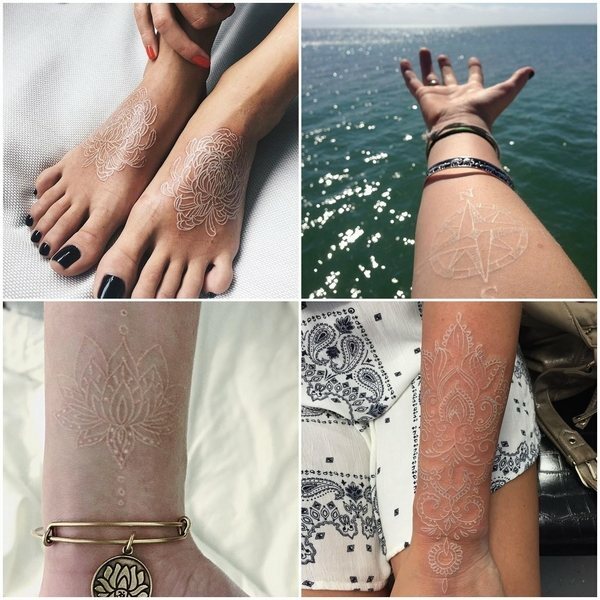 Look at the gallery below to see some original white ink tattoo designs.